We have the 19mm Roller Sash Stop on our Sash Stops page. 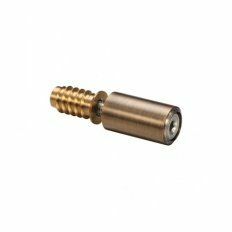 This product is a solid brass socket screw which acts as a hex fix fixing. The level of quality is guaranteed since the design has been manufactured by Zoo Hardware. For an effective and stylish method to fasten any windows, we have a wide selection of Casement Fasteners. These designs will ensure that sash windows have been closed to it’s full capability. We offer a wide range of high-quality finishes, which include chrome and brass. For various options as to how far you want to have your sash windows, we have a range of Casement Stays. They will give you full control over your window to allow easy regulation of fresh air in accordance with certain weather conditions. In order to enforce safety within your sash windows, you should consider installing any of our Jackloc Window Restrictors. These designs will ensure windows can only be opened to a certain distance. This could prove to be crucial for windows that are situated on the higher level of buildings. To make the process of operating your sash windows more methodical, we have a selection of high-quality Sash Lifts & Handles. Whether you choose a chrome or brass finish, these designs are certain to add vibrancy and style to your windows. If you are looking for a traditional style of fastening sash windows, we have a range of Sash Fasteners. These neat and concise designs offer a simple method of fastening that won’t compromise space around your window. There are certain sash windows that operate with a rolling mechanism. In which case, you will need to install any of our Sash Pulleys which have been specially designed for the use on traditional rise and fall windows. Each design comes with a carry cord to counter balance any sash weight. In order for weight to be evenly distributed throughout your sash windows, you will require the installation of a Sash Cord. They will ensure that balance is maintained at any height you push and pull your sash windows. This can be further strengthened with Sash Weights. For a neat and concise method of fastening windows, we have a selection of Fan Light Catches. They are hugely beneficial for windows that are out of reach since they can be pushed and pulled with the use of a pole that has been attached to the catch area. Finally, we have Fanlight Stays that give you the option of having a set distance in which windows can be opened to. This will provide safety for your windows as well as ensuring widows aren’t obstructive once they have been opened.